The Tucson Monsoon season is right around the corner. Here is how how you can keep your air conditioning system running effectively in spite of the dust, rain, lightning, and wind for the monsoon season. Change your filters once a month during monsoon season. It’s the best course of action to combat all the dust that is kicked up. Changing your filter is also one of the easiest and most cost effective things you can do to ensure a long and efficient life for you air conditioning system. Did you know that your air conditioning unit is in danger whenever there’s a lightning strike nearby? An electrical surge or strike in your area can impact your system. Your best bet to keep your system safe is to invest in a surge protector. The surge protector absorbs the electric surge before it can even get to your A/C unit. Keep your air conditioning unit free of debris. Check the area around your unit periodically, especially after a storm and clear away any debris that may be on or around it. This keeps your system working more efficiently. Take proactive measures to protect your AC system. 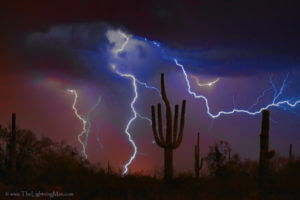 Remember to turn your AC unit off when a monsoon storm hits near your home. Also, keep a tarp in an easy to access location so you can cover your outdoor AC unit before the storm hits. Keep bungee cords nearby so you can securely fasten the tarp to the top of the AC system. Keep your AC unit maintenanced. Having your AC unit maintained yearly (preferably before monsoon season hits) helps find the issues before the monsoon storms help to make them costly issues. At Russett Southwest, your comfort is our goal. Since 1947, we have served as one of the top heating and cooling companies in the Tucson area. Our experience means that you’ll get the best service and products for you and your home. To learn more or to schedule a visit, check out our website https://russettsouthwest.com/ or call (520) 629-9676.